Cannabis is a "photoperiod" plant, which means the amount of light received each day decides when the plant starts flowering or making buds. This article explains how much light a day your photoperiod cannabis plants need to grow and start budding, so you get to a happy harvest day. What about auto-flowering strains? 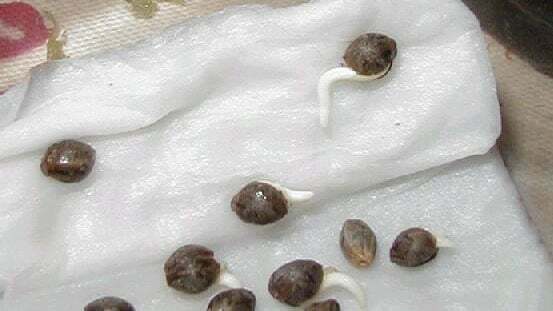 While not technically a "stage," all grows start with cannabis seeds or clones. 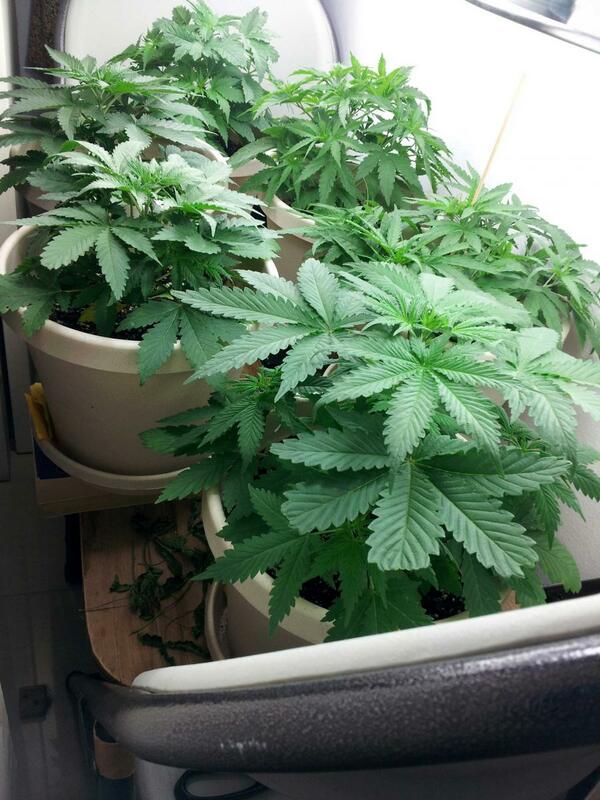 Some outdoor growers start their plants indoors to give them a headstart before putting plants outside. If you're growing cannabis outdoors with seeds, you should wait until a few weeks after the spring equinox to put your seeds outside. In the northern hemisphere this means seeds go outside in-or-after April, In the southern hemisphere seeds go outside in-or-after October. If you live in a cold climate, you must also wait until after the last frost before putting your plants outside. Freezing temps will kill cannabis plants. Strain choice is very important. Some strains flower earlier than others. For outdoor growers in cold climates, it's important to make sure you grow a strain that is matched up with your local weather, so that plants are ready for harvest before temperatures drop. 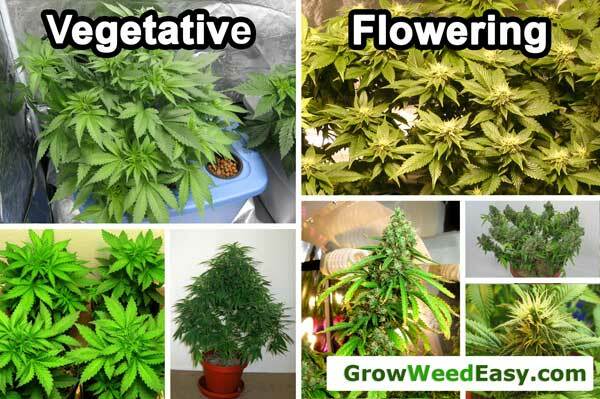 The vegetative stage is one of the most important parts of the life of your cannabis plant. The vegetative stage is the growing stage of the plant. When in veg, cannabis plants grow bigger and taller, growing only stems and leaves. As a grower, you are able to control the size and shape of your plants in the vegetative stage using simple training methods. During the entire vegetative stage the plant does not produce buds at all. It only grows stems and leaves. During the vegetative stage plants tend to grow very fast, especially when conditions are right. 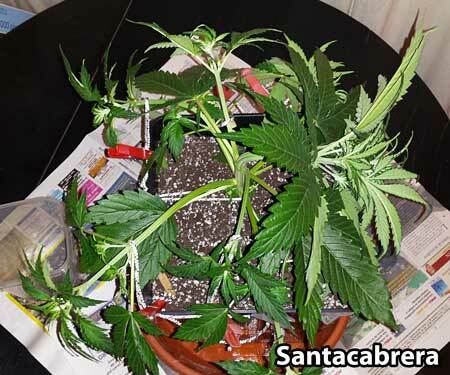 Short nights keep cannabis plants in the vegetative stage. You can keep a cannabis plant in the vegetative stage for basically forever as long as the plant continues to get short nights (shorter than 1s-12 hours, depending on the strain). Whether you're growing indoors or outdoors, you must make sure your cannabis plants get at least 13 hours of light each day to stay in the vegetative stage. If your plant gets a few long nights, it may start budding before you want. The plant can receive as much as 24 hours of light a day while in the vegetative stage. Many indoor growers provide 18-24 hours of light a day (known as 18-6 or 24-0 light schedules) during the vegetative stage to encourage faster vegetative growth. Don't want to worry about light schedules? For growers that don't want to pay attention to light schedules, there are auto-flowering strains of cannabis, which will automatically go through their whole life in about 3 months no matter what light schedule is provided. For some growers, an auto-flowering strain may be more simple than a traditional (photoperiod) strain. 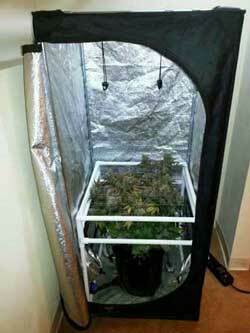 Most indoor growers provide 18-24 hours of light a day (known as 18-6 or 24-0 light schedules). Giving your cannabis plants more hours of light each day in the flowering stage will encourage faster growth. Lingo: When a grower provides 18 hours of light a day and 6 hours of darkness, this is commonly known as the 18/6 light schedule. For 24 hours a day, this is referred to as the 24-0 light schedule. As long as your plant is getting plenty of light a day, your plant will automatically stay in the vegetative stage from late spring until late summer. Every strain is a bit different. Cannabis starts budding when plants get at least 12 hours of uninterrupted darkness each night. After plants start budding, they must continue to get long dark nights until harvest or they may revert back to the vegetative stage. Indoors most growers put their plants on a 12-12 schedule to initiate flowering. Outdoors the plant will naturally start budding in late summer when nights are growing longer and longer as winter approaches. Just make sure plants aren't exposed to light during their dark period! The indoor grower will need to artificially induce flowering/budding in plants by changing the light schedule so the plant receives only 12 hours of light a day, and 12 hours of uninterrupted darkness. 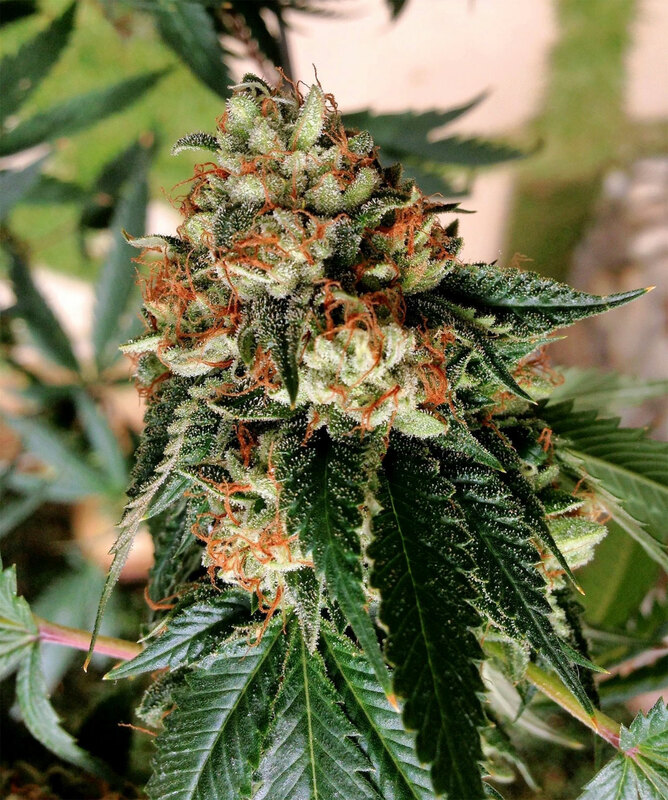 Once the plant is changed over to the flowering (12/12) light schedule, there is generally another 6 weeks-5 months (average 2.5 months) before the plant's buds are ready for harvest. Outdoor growers wait until their cannabis plants start naturally flowering on their own, usually after mid-summer when days start getting shorter than 12 hours. It's important to make sure plants aren't exposed to light at night during their dark period, even street lights or spotlights, as this can prevent cannabis plants from flowering properly. So indoor growers have a choice to flower their plants whenever they want… When is the best time to start flowering your cannabis indoors? Age: Some growers feel that a marijuana plant which has been grown from seed will not produce as many buds or have enough resin production if the plant is not given at least 60 days in the vegetative stage to mature before it's changed over to the flowering stage. This is not true. many growers initiate flowering soon after germinating a seed in order to keep plants small and short. This is often called "12-12 from seed." Just remember, no matter what you do, a young cannabis plant will not start flowering until it is 2-3 weeks old. Even if you put a seed on a 12-12 schedule from the beginning, it will not start properly budding for about 3 weeks. When growing with cannabis clones, age is not an issue and growers can switch directly to flowering once your clone has established roots. This is because even though a clone may be small, it's still a 'mature' plant since it is made of a piece from a mature plant. 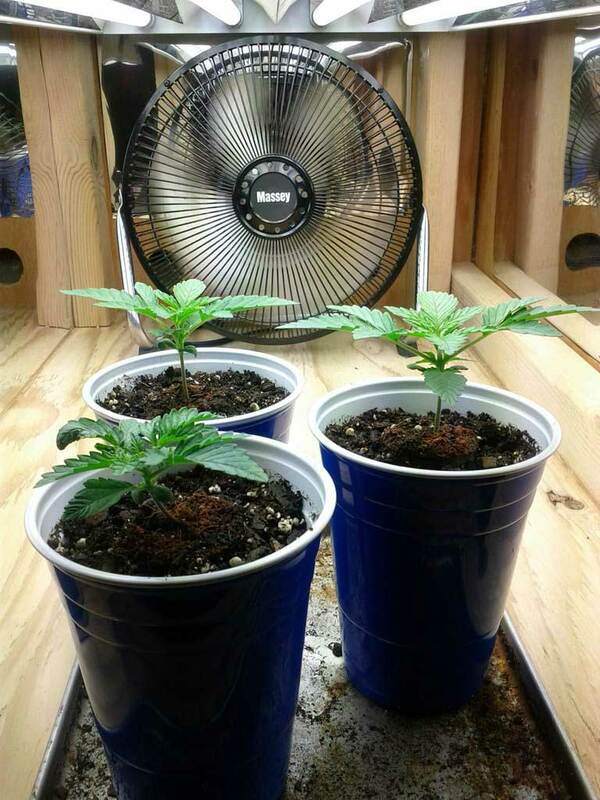 Rooted clones tend to grow much faster for the first few weeks than plants grown from seed. In any case, age is not much of an issue, and you should switch your light schedule at the time that best fits your needs. 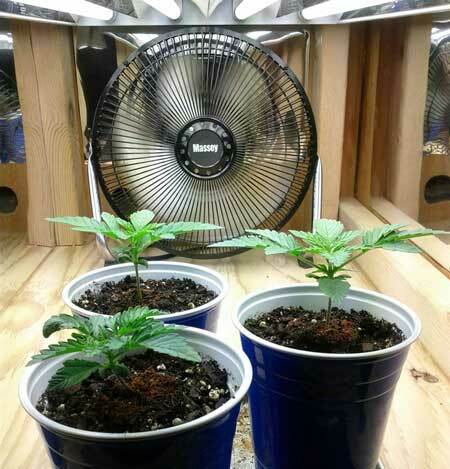 Height: A general rule is that your marijuana plant will double or triple in size during the flowering stage from the point where you first change over the light schedule to 12/12. Some plants will grow more, some will grow less, but a good rule of thumb is to change your light schedule over to flowering when your plants have reached half of their final desired height. Bending, known as "LST" or "low stress training" can be used to control colas that get too tall. Simply bend too-tall colas down and away from the center of the plant. Some growers will even slightly break or "supercrop" branches to get them to bend at a 90 degree angle. For those growing in a small space, height may be the primary concern. However, there are many techniques available to grow a short, bushy weed plant or basically train your cannabis plant to grow into any shape you want. In optimal conditions if height and space is not an issue, you would probably want to vegetate your cannabis plant for 60 days or more before switching it over to flowering. This gives your plant plenty of time to grow big (so you get bigger yields), and allows new growers to dial in their grow before plants enter the sensitive flowering stage. In the vegetative stage, it is easy to recover from problems, but problems are a lot more serious in the flowering stage, where mistakes can dramatically hurt your final yields. Giving cannabis plants more time in the vegetative stage, and taking time to train them to fit your space, will give you the best final yields. However, if space is tight, then it's better to switch when the plant is half the final desired height, or even to just attempt to flower your cannabis plant straight from seed. After the vegetative and flowering stage are over, it is time to harvest your plants! Is my plant a boy or a girl? How long does it take to grow cannabis?